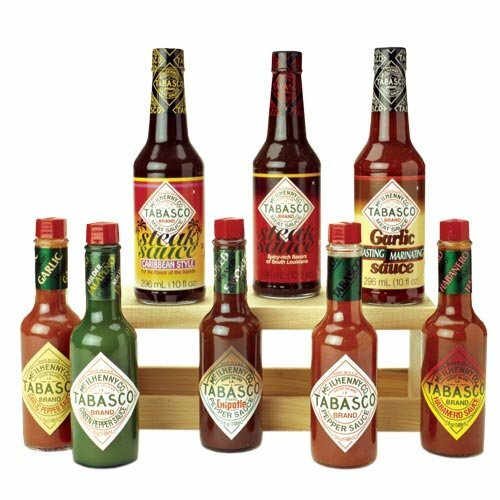 The TABASCO Large gift box includes five TABASCO brand hot sauce flavors (classic Pepper Sauce, Green, Garlic, Chipotle and Habanero) and three TABASCO brand meat sauces (Steak, Caribbean and Garlic Sauces.) Spice up your meals with these great sauces. If you have any questions about this product by TABASCO brand, contact us by completing and submitting the form below. If you are looking for a specif part number, please include it with your message.